There were many doctrinal changes which the Christian Church adopted in regard to the positions of women, in attitudes to gender complementarity and to gender and sexual variance during the first three centuries of its existence. This analysis uses the results of some recent research work on gender dysphoria and on personality development as a tool for re-considering the historical backgrounds and the reasons for these changes. A précis of this is given in this account. The history of the Church is examined from two perspectives, one works back through the Church traditions, and the second traces forward from the Jewish and the Greco/Roman backgrounds to review the social and the moral traditions which were the sources from which the Apostolic Church developed. 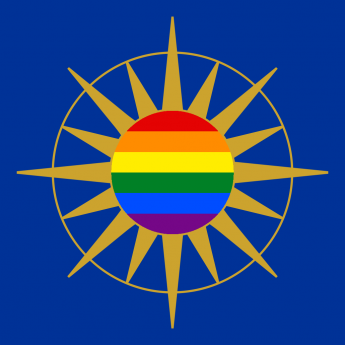 In order for the Church to make the breakthrough from a minority and a subject Jewish sect into the universal religion of a dominant society, an initial period of true gender equality and transcendence is required and it is shown that without that period this transition could not have occurred. Early Christianity had demanded a revolution in the social attitudes, but the message of Jesus which is presented in the Gospels also required the Church to work within society in order to change it, rather than destroy it. This gave the Church a difficult choice, and it sought to compromise these first Gospel doctrines of gender transcendence to obtain the respectability which would enable it to convey the remainder of the Gospel message to the wider world. By engaging with the expectations of society, and by taking up the dogmas of gender complementarity which were associated with the surrounding Greco/Roman and Jewish societies the ability of the Church to bring the Gospel challenges to all people in the matters of gender equality and to sexual and gender variance was destroyed. This investigation also demonstrates how the teachings of Jesus had created an attitude to gender equality and to sexual and gender variance that would be acceptable in the present day. A major disconnection occurred during these first three centuries. What today is regarded as the traditional teachings of the Christian Church on all sexual and gender variance are built on the false foundation of the demand to gain respectability within Greco/Roman society and that what in the present day is regarded as the traditional teaching of the Church on homosexuality and on sexual and gender variance is not the same as that of the Gospel Church. One of the objectives of the Reformation Movement of 16th Century was to return to the teaching of the bible alone. This included the rejection of later traditions that had been adopted by the Church. The reformers took Augustine as a frame of reference. Although they rejected many of the Church traditions which Augustine had endorsed, they continued to maintain and reinforce the doctrines of an exclusive heterosexual orthodoxy, which included the total abhorrence of homosexuality and other gender and sexually variant behaviour which had been propagated by the Church.